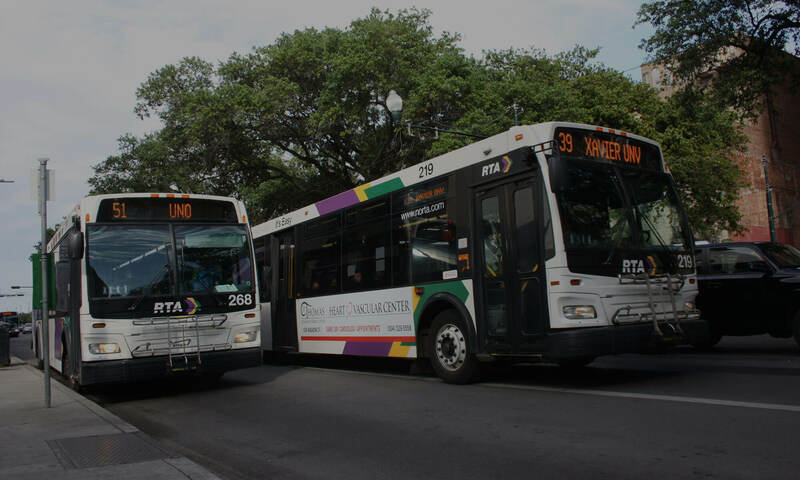 The New Orleans Regional Transit Authority (RTA) is spending almost $1 million to create a long-term strategic transit plan for the next 20 years. Called the “Strategic Mobility Plan,” this process is a great opportunity for New Orleans transit riders to win a step-by-step, community-supported process to make our transit system more equitable and more effective. Ride New Orleans is focused on winning a strong, community-supported strategic plan in 2017 and will keep supporters informed at key moments of the process. Read our spring update on the planning process here and sign up to attend a September RTA community workshop here. We’re entering the final months of the RTA’s strategic mobility planning process. Up to now, the planning process has been very big-picture – focused on community preferences, long-term travel projections, and forging an overall vision and clear goals for the system. The draft goals that have been presented – connect to opportunities, be reliable, ensure equitable mobility, earn trust, and prioritize the rider experience – are all laudable goals that could form the basis of a strong long-term plan for the RTA (see our late spring analysis of the goals themselves). But without ambitious and measurable benchmarks to judge progress and specific implementable action items to achieve those benchmarks, the plan will go down as a huge missed opportunity. From now through the end of the year riders and advocates have the chance to make sure this nearly $1 million planning process is worth every penny. This is the time to ensure there will be concrete plans to improve access to economic opportunities, increase frequency, build better regional connections, and many other priorities. A big opportunity comes during a series of community workshops from September 11 to September 14. At these workshops, RTA representatives will present different scenarios of potential transit improvements and ask participants to pick their priorities. The scenarios will be based on community feedback gathered earlier in the year and from the RTA’s analysis of where people need to go and where the biggest demand for transit is. The RTA will also ask attendees to weigh in on what corridors (i.e Broad Street, Canal Street, General DeGaulle, etc.) should be considered priority areas for transit investment. Sign up to make sure your voice is heard at one of these workshops today! A successful plan will lay out a path to greatly improved access to jobs via transit – especially for lower-income households; steady and significant increases in frequency and reliability – especially on key transit corridors; and concrete steps forward on regional coordination. We encourage attendees at the community workshops to keep those important concepts in mind as they participate. We have more specific recommendations around benchmarks and priority action items that will become more relevant as we get closer to the release of the draft strategic mobility plan. Set a goal of at least 50 percent of lower-income households reaching all jobs within the RTA service area in 30 minutes or less via transit in the next five years and that 85 percent can do so in the next 10 years. You can see our complete list of recommendations here. The top preferences collected during these workshops will have a big effect on what priorities are suggested in the final plan. We expect the first draft of the full plan to be released in October or November. There should be another round of public outreach and opportunity for comment at that point – likely concluding before Thanksgiving. The RTA hopes to finalize the strategic mobility plan before the end of the year. If the RTA holds to that timeline, there would likely be final discussion and a vote during the RTA’s December 19 board meeting. Previous PostPrevious Check out our 2017 State of Transit report!